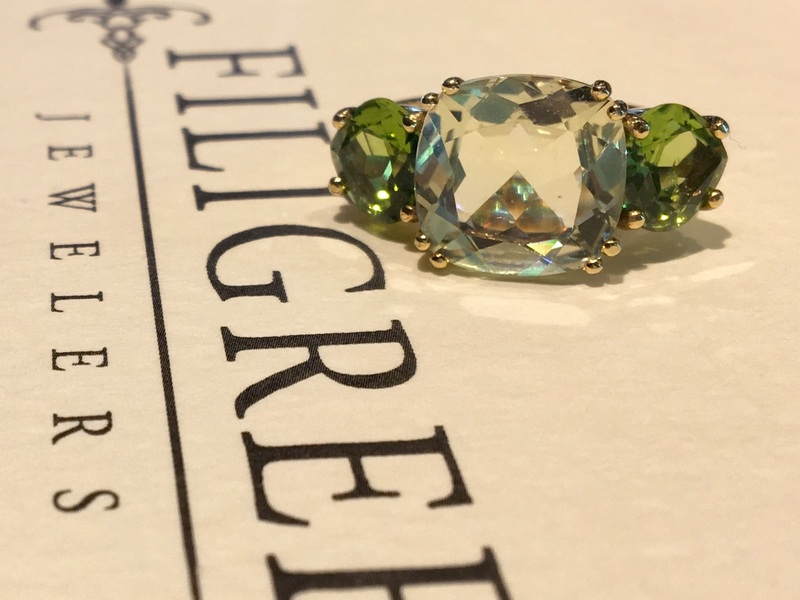 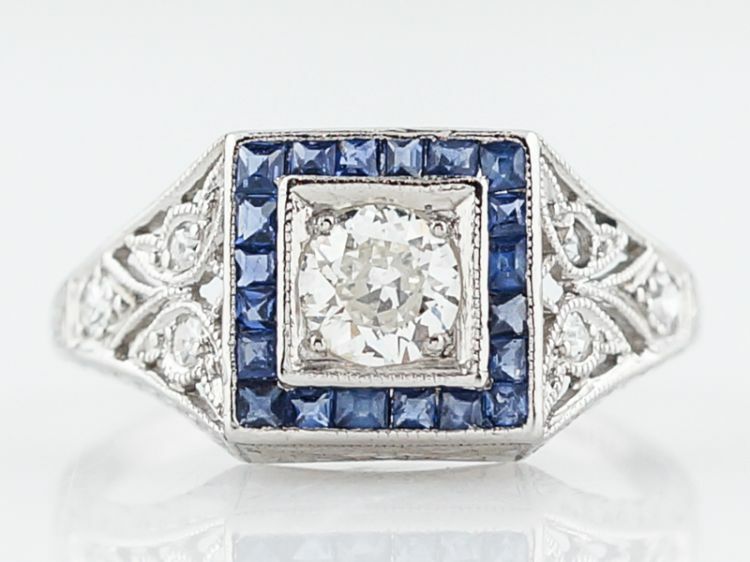 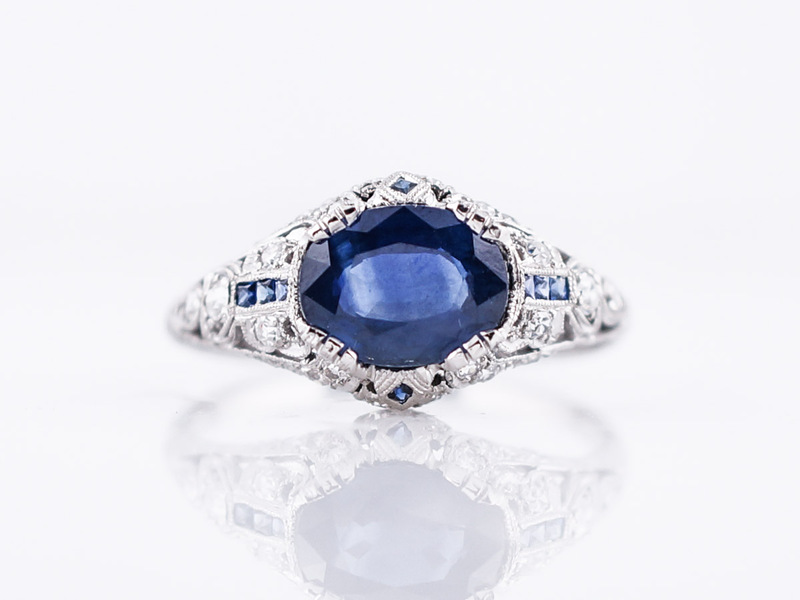 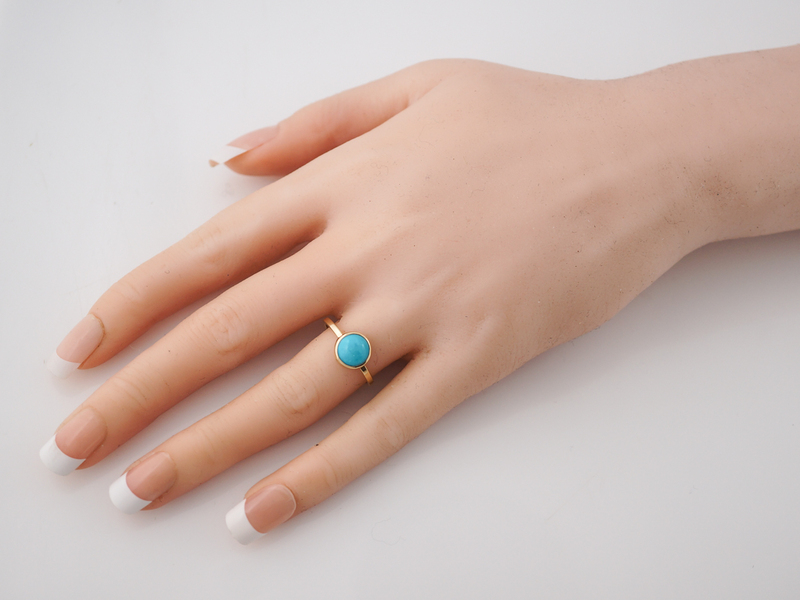 Everything about this right hand ring is smooth and sleek. 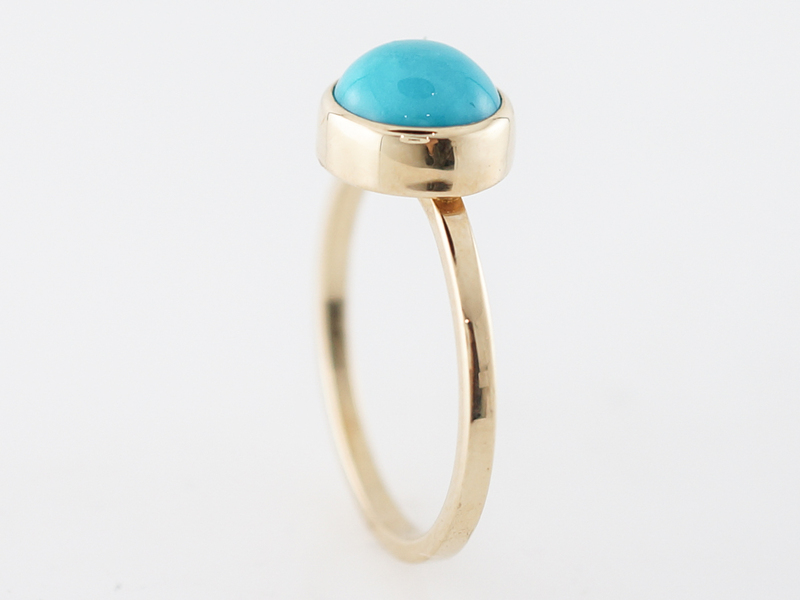 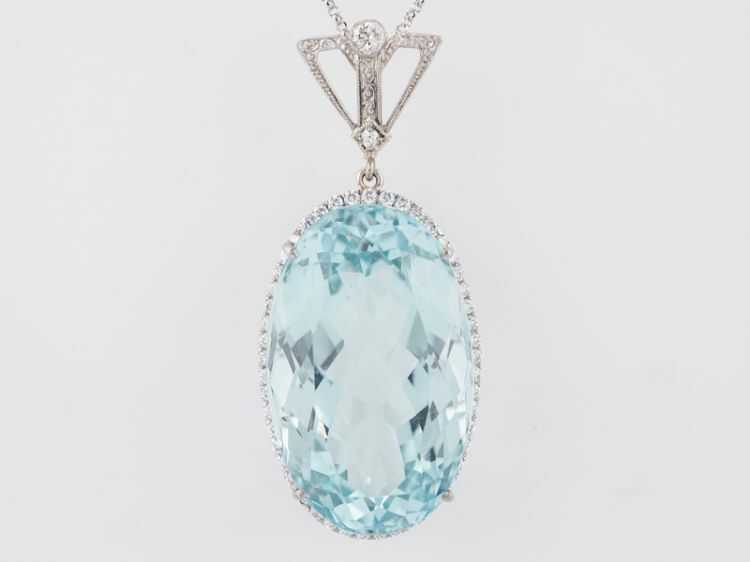 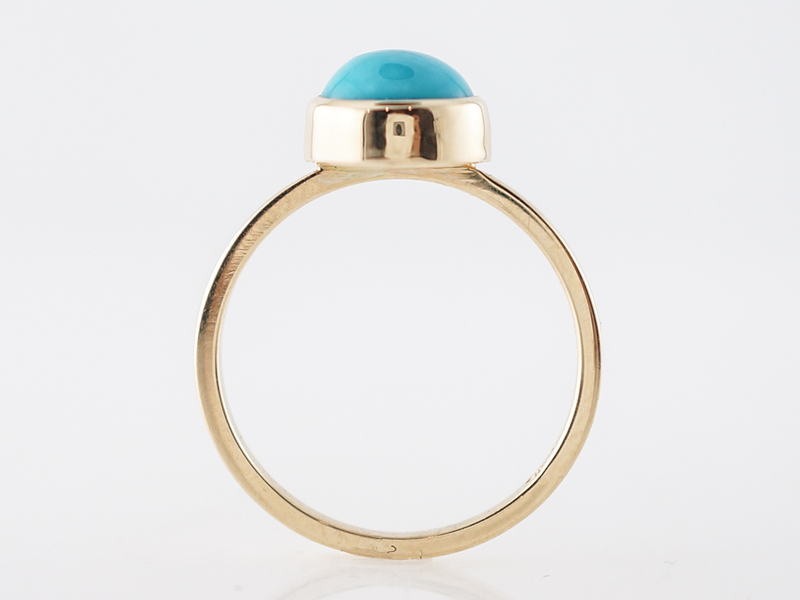 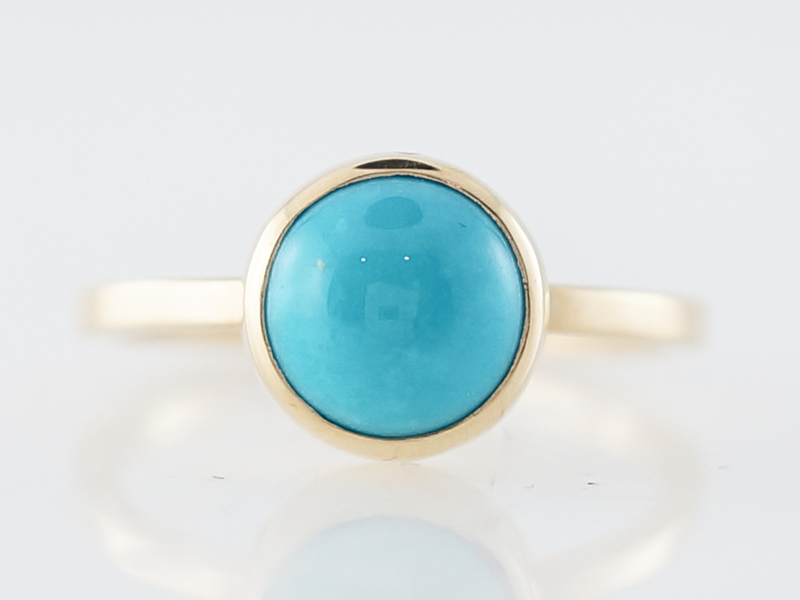 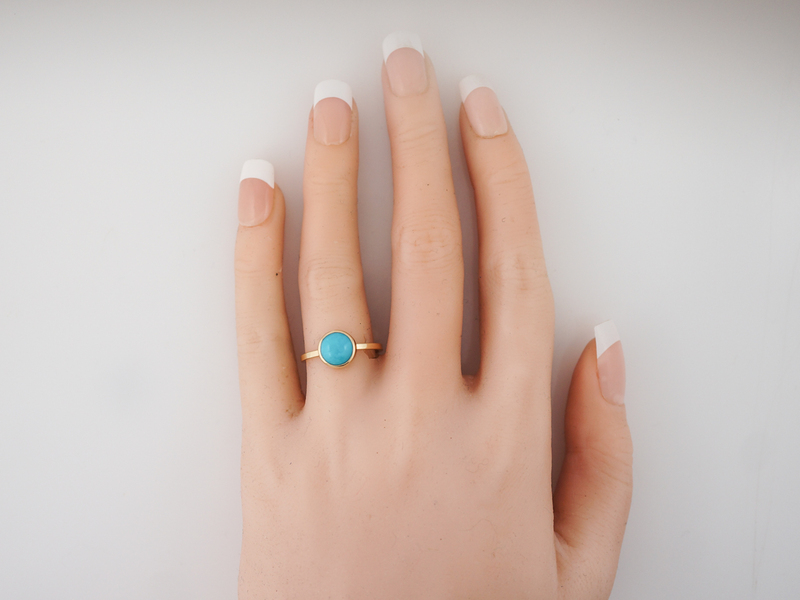 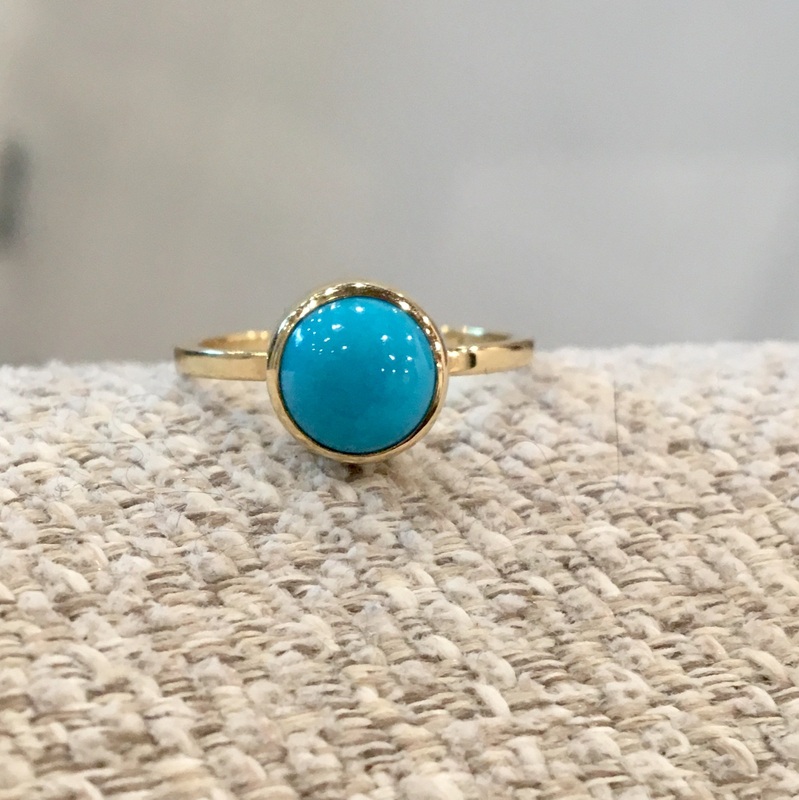 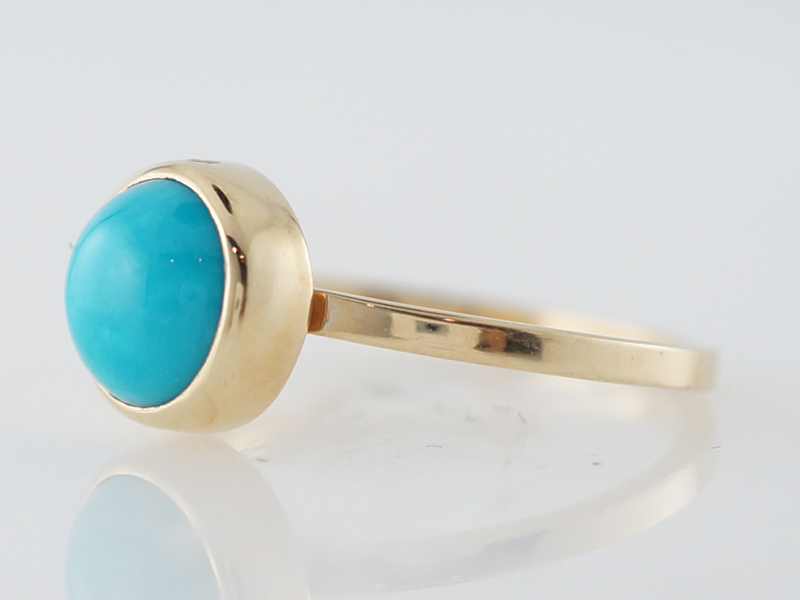 In 14k yellow gold this piece is modern and holds a 1.98 carat cabochon cut turquoise in a neat and polished bezel setting. 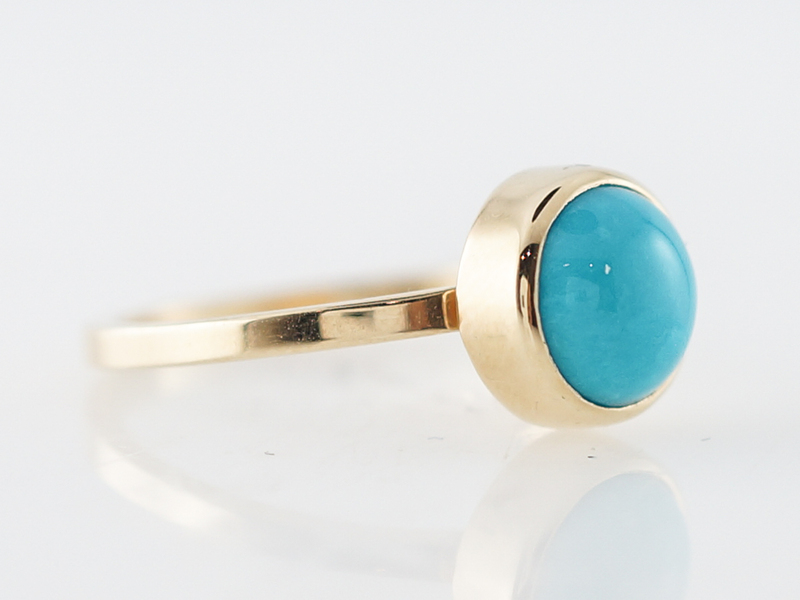 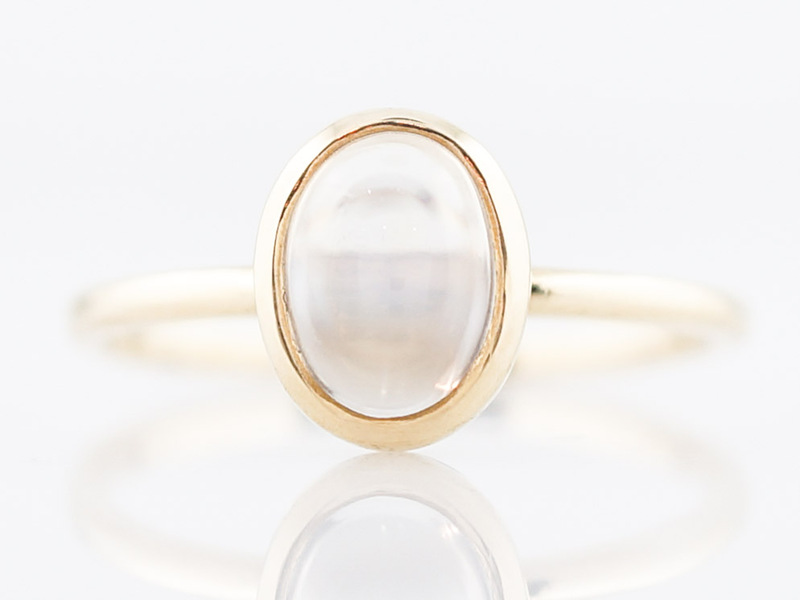 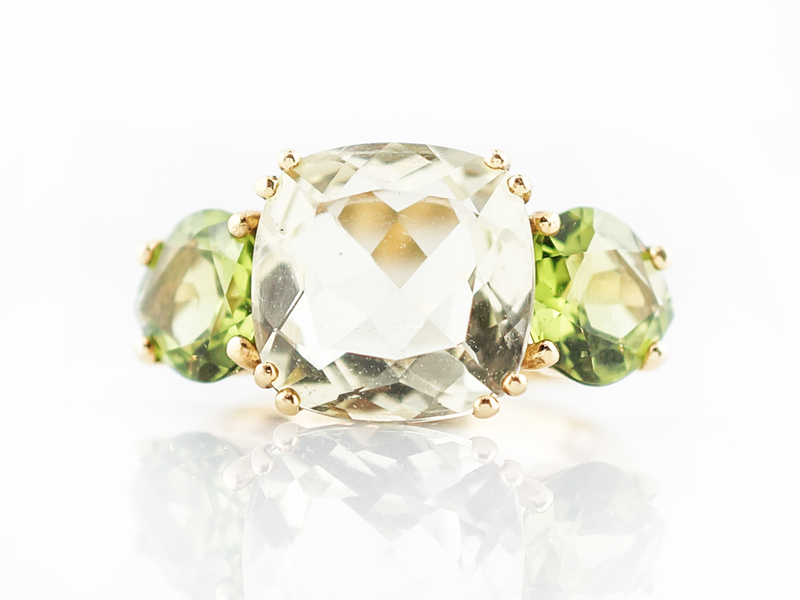 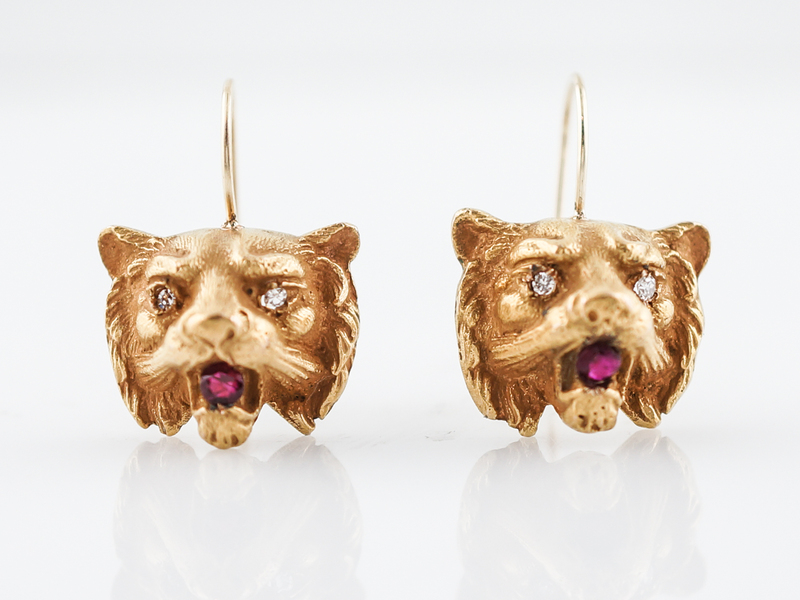 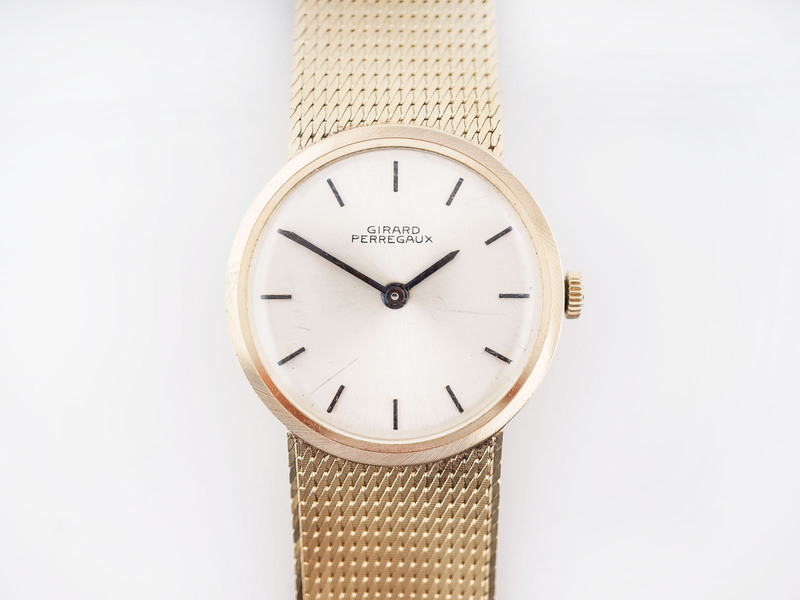 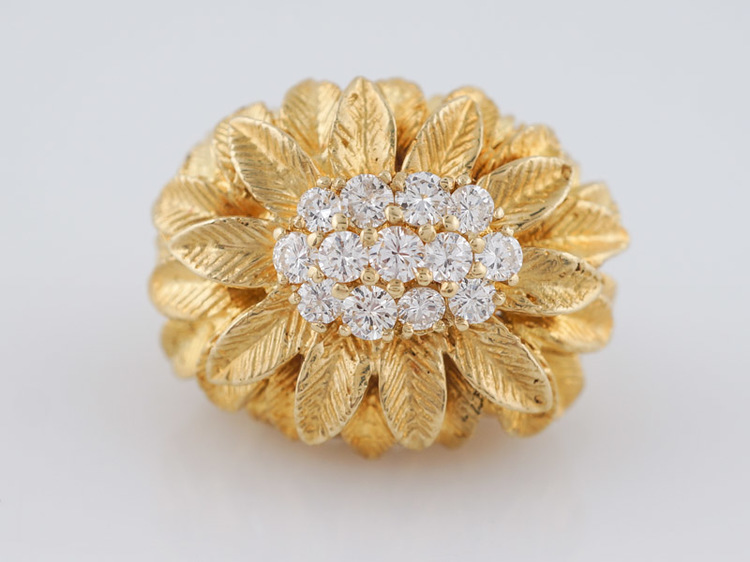 The color of the stone is beautiful and contrasts the yellow gold in perfect balance.